Designed and created to assist you with the most important segments of your real estate business. This is one of the most practical applications and the easiest to use programs you’ll find in the Real Estate Industry. Guaranteed to work in any market, in any location, under all conditions, and for any agent. The BEST Goal and Financial Planning Program in Real Estate. 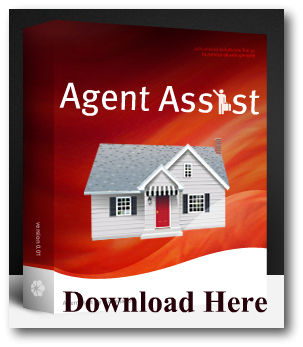 Agent Assist and the Agent Goal Planner were created to help Real Estate Agents and Brokers with the growth and success of their business. Using the technology, formula’s, and unique tools found here along with proven marketing techniques, we are confident in our ability to help you get more contacts, appointments, and more business. Every agent is different and unique. 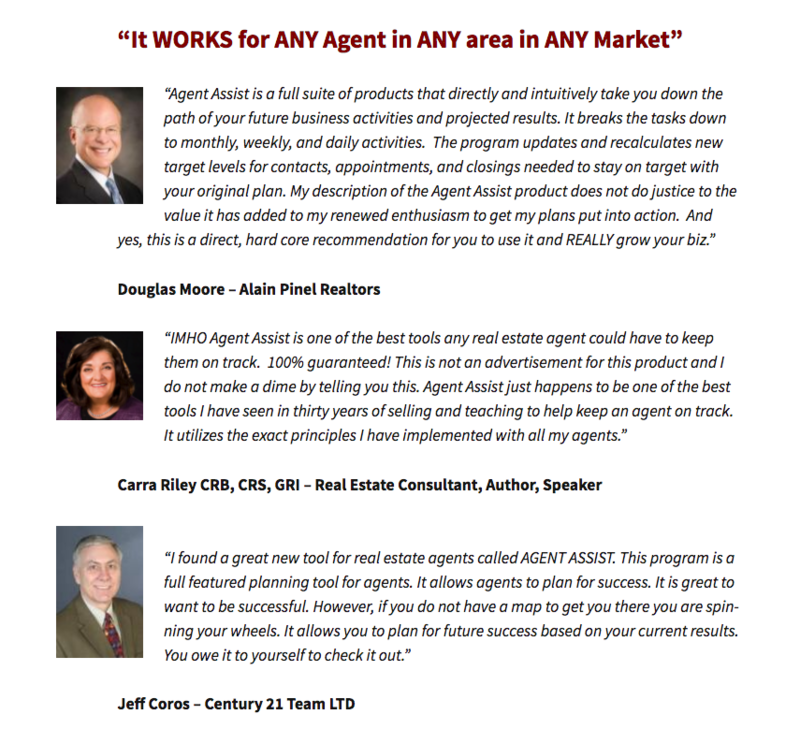 Agent Assist is custom tailored to your specific market, needs, and individuality. I purchased a copy of Agent Assist on 10/28/2008. Is the version available on “download” the same? Hi Jill – Happy Thanksgiving to you. The version of Agent Assist currently available is the same version you downloaded last year. We are working on making an online version and a mobile version available. The on-line subscription will allow AA owners access and the ability to modify their information all online. Is the $29.95 fee a one-time cost, or is it a monthly charge? Thanks Steve. It’s a one time fee, but if you want to send a monthly payment, we won’t turn it down. :-)) Let me know if you have any questions or need any assistance. Do you have a trial version of the program? Hi Alison – there is no trial or “lite” version available. However, I trust and believe strongly that the 29 dollar version will be everything and more that you’ll need to meet and exceed your real estate financial goals. Hello, I have a team of 4. can we all use the same system? Yes. You simply need to all be using the same computer. Just login to the same spreadsheet. If tracking as 4 separate individuals, you’d each need to purchase the app of just save the file as your name instead of the default name. Thank you, So I can save each team member by name then on 1 computer so we can track each others goals right?